COTABATO CITY, Philippines (Mindanao Examiner / Apr. 18, 2011) – The International Committee of the Red Cross handed over on Monday a state-of-the-art sterilizer to the Cotabato Regional Medical Center in the southern Philippines. The equipment from Germany uses heat to sterilize dressings, essential materials and instruments for surgery and the equipment will further enhance the safety of patients and help the public hospital provide even better services. The Cotabato Regional Medical Center is the only government tertiary hospital in Central Mindanao and provides a vital service to the population in this violence-affected region. The hospital treats many patients from outside Cotabato City, most of them from Maguindanao, but some from as far away as Lanao del Sur and Basilan. "All materials used for surgery – from gowns to water – undergo sterilization as part of infection control. With the new sterilizer, we can provide our patients with an even higher level of safety than before," said Dr Helen Yambao, who heads the hospital. To improve access to health care, the ICRC supports 13 hospitals in Mindanao by regularly providing essential drugs and medical supplies, and financing individual treatment in particularly vulnerable cases. Four other hospitals also receive assistance. The ICRC recently handed over a skin graft set to Davao City’s Southern Philippines Medical Center, which is the largest hospital in Mindanao. The set will help the hospital treat the victims of burns. 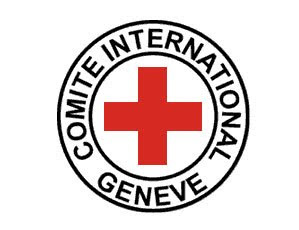 The ICRC is a neutral and impartial organization that assists and protects victims of armed conflict and situations of violence. In the Philippines, it works in conflict-affected areas to promote respect for civilians and improve their access to basic services. The ICRC also visits detainees to ensure their proper treatment.